Flowlens provides customers with controls to help support their GDPR compliance policy. The stringent requirements include the need to prove that you have consent to communicate with contacts, how you got that consent, and the purpose of the communication. The Flowlens GDPR module helps you setup, and manage this easily. Firstly, security of data is paramount. With Flowlens, all data is stored in a database, and can only be accessed via individual password protected user accounts. The connection between your computer and the database is also secured and encrypted. Within Flowlens, all changes made to contact data can be tracked against the user. It’s possible to see when and who makes changes to GDPR settings using our activity log. Secondly you have control over the types of communication you want consent for…. …and the methods you typically use to obtain them. 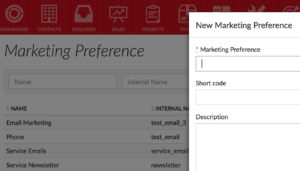 You can also ensure users on your website can indicate their communication methods with our embeddable contact form. Day to day, maintaining GDPR consent is straightforward, with prompts to ask for consent prominently placed wherever you are inputting or updating contact data. 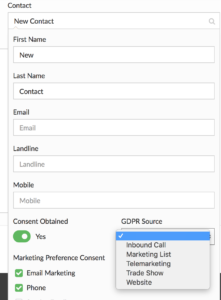 Flowlens GDPR and Marketing modules also work together. 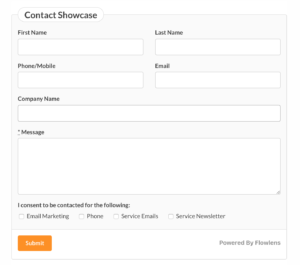 Flowlens prevents users from adding contacts with no consent to Marketing Lists. Our integration with Mailchimp means that email recipients who unsubscribe will have their relevant preference updated in Flowlens. Finally, the right to be forgotten is another key strand of GDPR. If a person requests that you remove their record from your system, you can choose the ‘Right to be Forgotten’ option. This redacts the contact record of any personally identifiable information, without breaking the integrity of your data. Plus, GDPR Reports let you quickly identify those contacts you don’t have consent for. 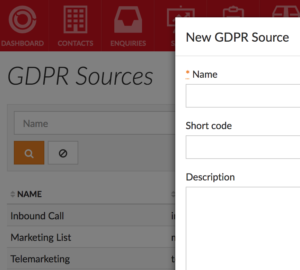 The Flowlens GDPR module provides a user-friendly and comprehensive set of tools that support your GDPR compliance and staff training. For more information about how Flowlens features can make your life easier and free up time, why not give us a call or request a demo.